The Prophet is Gibran’s most popular work and is largely the reason he is one of the three biggest-sellers in world poetry. Accurate worldwide sales figures for the book are not known, but it has sold in the tens of millions, in over 50 languages. 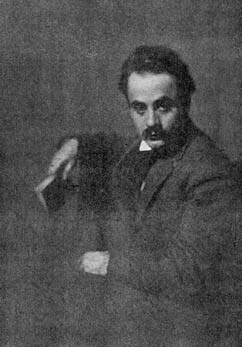 Born in Lebanon, Gibran moved to the United States as a young boy and wrote in both Arabic and English, but The Prophet was written in the latter. To date it has sold over 9 million copies in its US edition alone – about a million every decade. And it has sold steadily since its publication in 1923. Indeed, it has grown increasingly popular: in 1935 it had sold 12,000 copies, but by 1962 sales had increased almost tenfold to 111,000. In the next four years these figures more than doubled to 240,000: the emergence of the counterculture in the 1960s and the rise in ‘New Age’ philosophy and literature no doubt helped. It was estimated that at one point it was selling 5,000 copies a week worldwide. Most poets can only dream of such sales. Why has The Prophet been such a favourite with readers around the world for over ninety years? No idea, say some critics: its vast popularity is baffling in the face of its ‘mediocre’ qualities as a piece of prose poetry. The book is divided into 26 ‘essays’ or ‘sermons’ spoken by a wise man, Almustapha, as he waits to set sail for his homeland, having spent the last dozen years in exile. It’s a mixture of philosophy, mysticism, and poetic description. Judge for yourself: you can read the whole of The Prophet online here. And if you like the idea underpinning The Prophet but are left cold by Kahlil’s execution of it, we recommend another prose poem from the 1920s, French poet St.-John Perse’s Anabase, translated into English by T. S. Eliot as Anabasis in 1930. Gibran’s name is usually spelled Kahlil though it is also sometimes rendered as ‘Khalil’. Either way, Kahlil was not his first name but his middle name: his real first name, Gibran (he was originally Gibran Kahlil Gibran), was dropped when he enrolled at school in America. 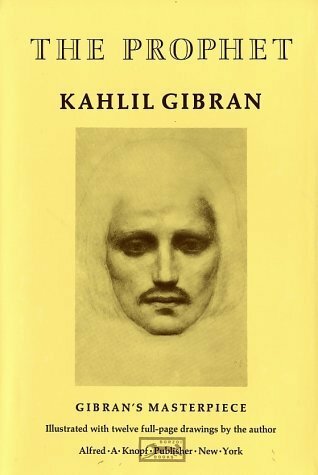 This article was first published on 23 September 2015 in the website Interesting Literature at http://interestingliterature.com/2015/09/23/interesting-facts-about-kahlil-gibrans-the-prophet/ . Thank you OT – I have corrected that link. I am so pleased to have this great post about one of my favourite books.